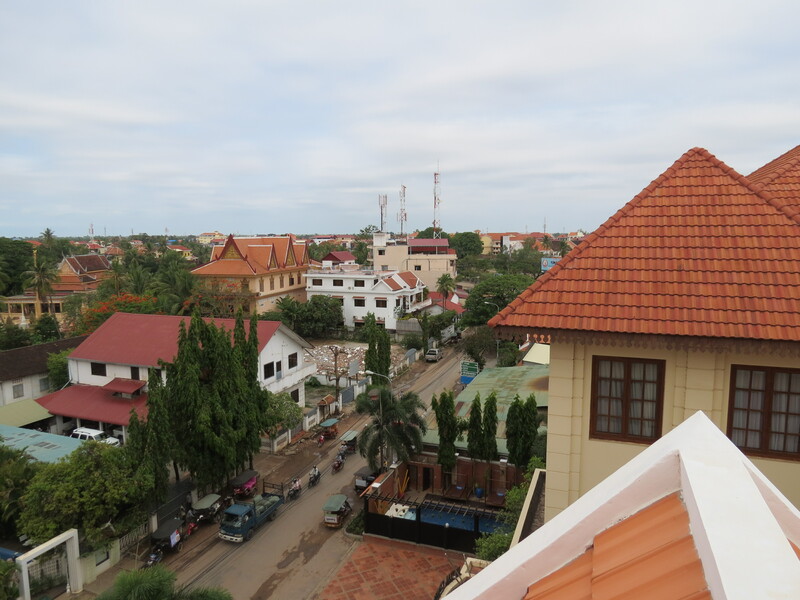 One of the dilemmas a traveler encounters when planning a trip is choosing the right hotel and fortunately, my cousin and I chose the right one after looking through the bunch of options we had for Siem Reap. The twin-sharing rates we got from Expedia (you can also check Agoda) were very reasonable inclusive of airport pick-up and daily buffet breakfast. 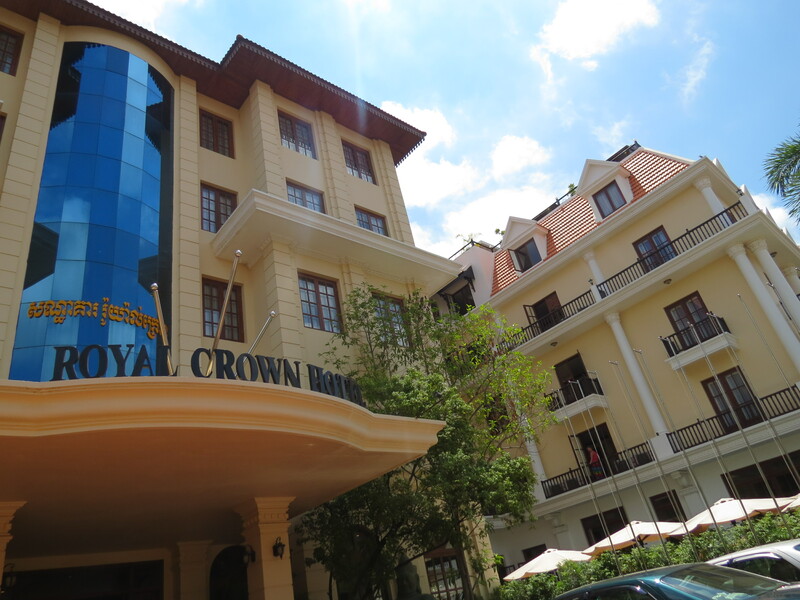 The winning factor for Royal Crown Hotel & Spa, however, is its location. Just within a five-minute walk from the Old Market and Pub Street, everything is within arm’s reach. The facilities are also very pleasing with two pools, a spa, a rooftop bar, an air-conditioned lobby, and a hotel cafe/restaurant. 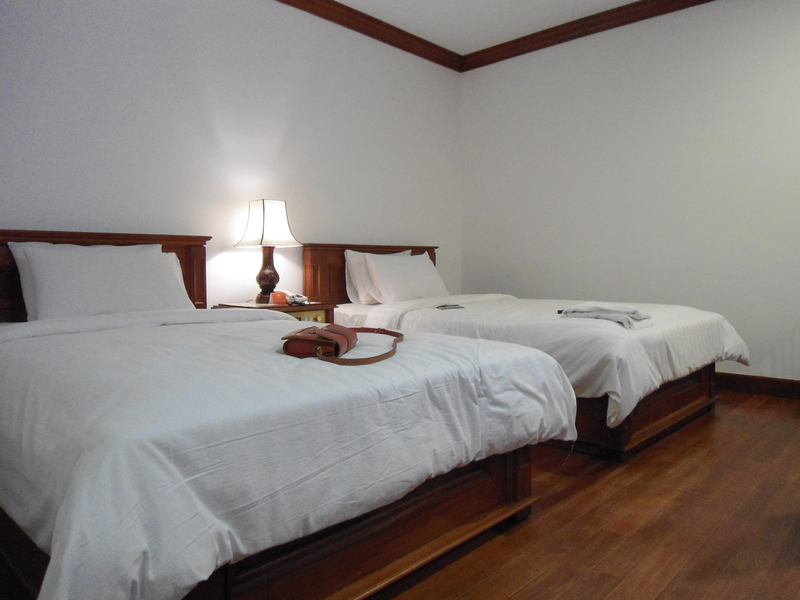 Our room was very spacious and clean and we definitely got our money’s worth. I wasn’t able to take a photo of the bathroom, but it housed a bathtub, shower, toilet, sink, and a cabinet. We were also provided with 2 complimentary bottles of drinking water everyday and a small fridge with drinks you can purchase. 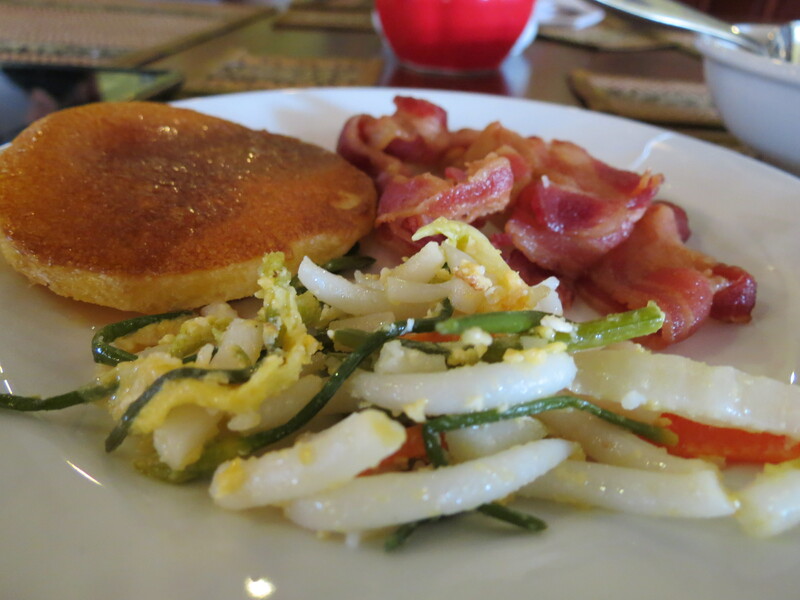 The breakfast buffet did not at all disappoint. 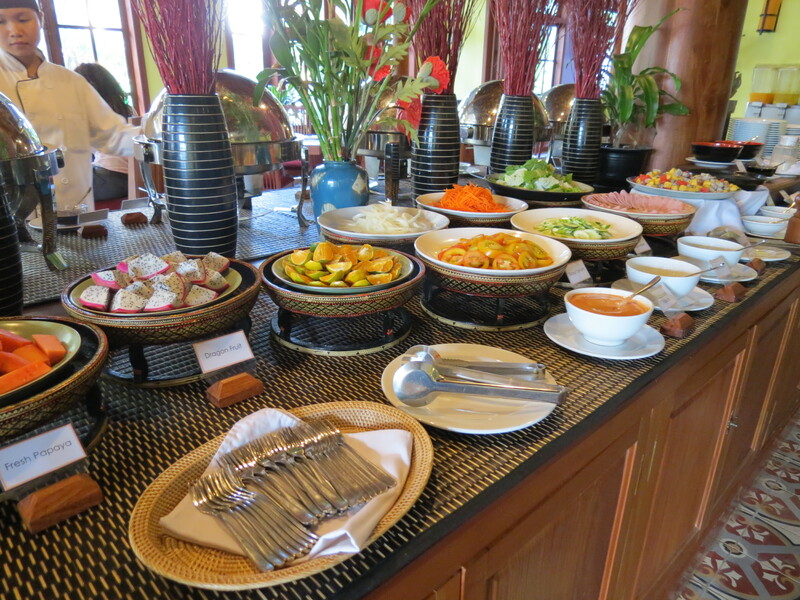 They had a salad station with different dressings and a selection of fruits. 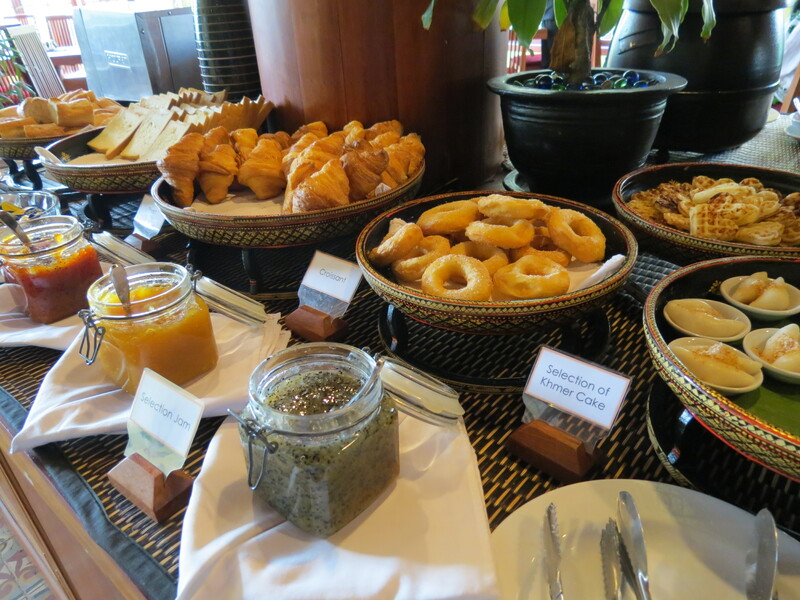 A variety of Khmer cakes were also served together with freshly and deliciously baked croissants and other pastries. 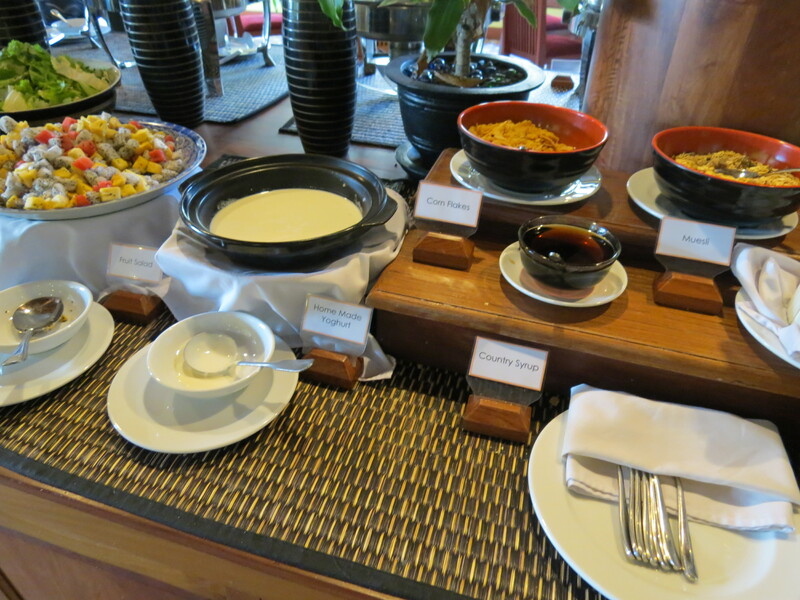 Yoghurt and cereal, which is a combination I have always loved since I discovered it last year, were also offered. Unfortunately, I didn’t get to take a photo of the other side of the buffet station, but they had at least two-three viands per day (that changed daily), noodles, pancakes/waffles, and fried rice. They also had an omelette station. On our last morning, one of the viands served was bacon, which I obviously devoured. All in all, both my cousin and I were very pleased with Royal Crown Hotel & Spa considering all aspects. One thing I forgot to mention early on also was that the service was impeccable and that the staff was so welcoming and kind. Just as I’ve mentioned in my previous posts, all the Cambodians we met were those one could easily fall in love with and the staff in Royal Crown was not an exception. They made sure that our stay would be very enjoyable and attended to our requests, which of course, in turn, made it very easy for us to tip them well. You might be tempted to book with one of the big hotels on the motorway, which are far from the Pub Street area and not to mention, way more expensive, but I really do suggest Royal Crown, since aside from its better location, I believe it gives a more local feel. 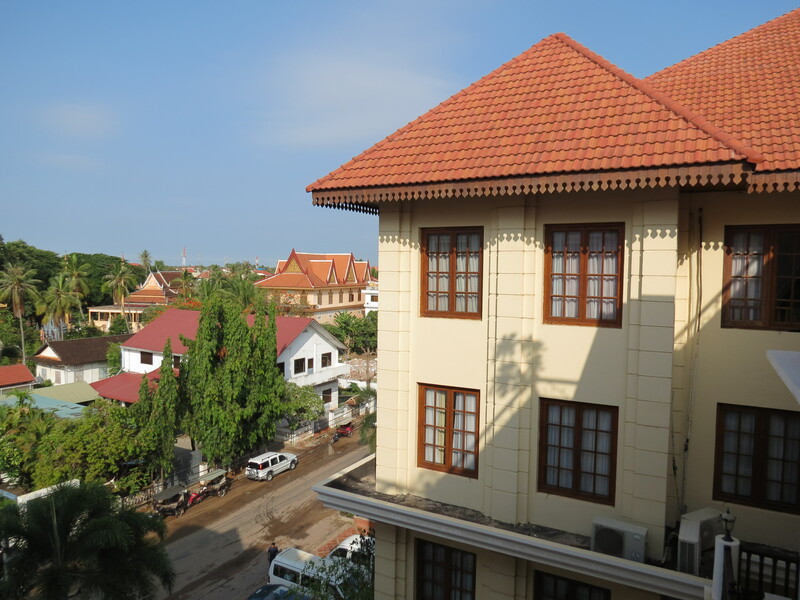 We also found out that there were other cheaper options like hostels/guest houses, but if you can spare just a teeny bit extra on accommodation, specially since you’d want a hotel whose location is top notch and of course, one that will not disappoint, then book with Royal Crown. The rate, in my opinion, is cheap as it is and is definitely a steal. 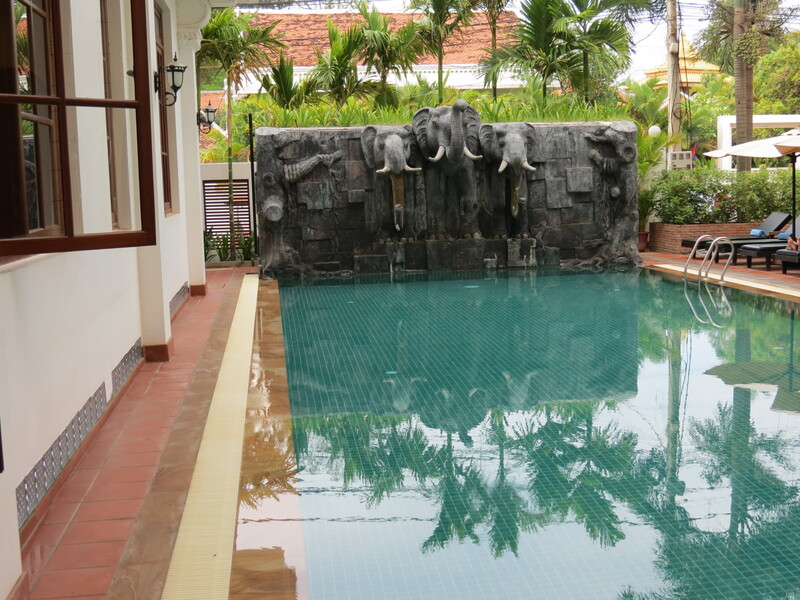 So when you find yourself planning a trip to Siem Reap, I STRONGLY RECOMMEND Royal Crown Hotel & Spa.